Mendelson's Memos: Weekend Box Office (12/18/11): Sherlock Holmes: A Game of Shadows and Alvin and the Chipmunks: Chipwrecked underwhelm compared to predecessors while Mission Impossible: Ghost Protocol sizzles in IMAX debut. Weekend Box Office (12/18/11): Sherlock Holmes: A Game of Shadows and Alvin and the Chipmunks: Chipwrecked underwhelm compared to predecessors while Mission Impossible: Ghost Protocol sizzles in IMAX debut. This was a weekend where two films gave the strongest evidence yet that there may be some kind of 'slump' in domestic box office while a third stood as a firm 'It's the movie, stupid!' rebuttal. The two main wide releases, heavily marketed sequels to exceptionally popular originals, opened at levels far below their predecessors. The top film of the weekend was Sherlock Homes: A Game of Shadows (review), which debuted with a seemingly solid $40 million. 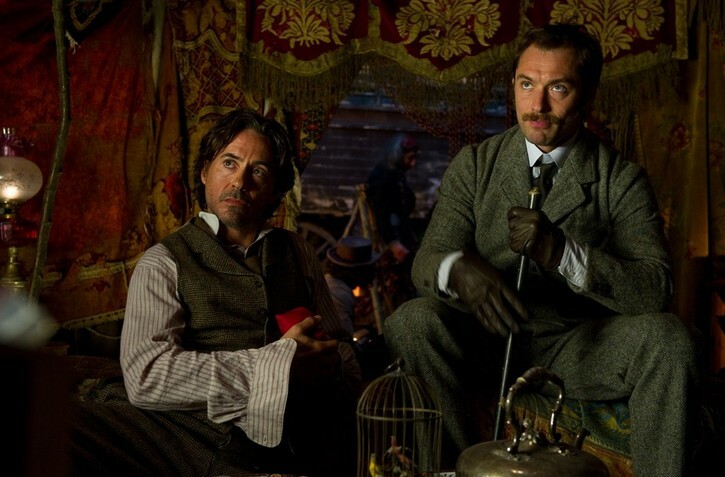 But the sequel opened 36% lower than the first Sherlock Holmes opened with over Christmas weekend two years ago ($62 million). That's a pretty big drop, especially when it wasn't exactly contending with the $75 million-grossing second weekend of Avatar this time around. I've long been of the opinion that the pre-Christmas weekend is among the strongest to open a film, as you can parlay your opening weekend into two full weeks of 'school vacation' time and get some occasionally incredible legs (essay). The film cost $125 million, which is a touch more than the $90 million original, but still not a case of overspending on a sequel. It remains to see whether this frankly shockingly depressed opening is a case of moviegoers not having an interest in the continuing adventures of this variation on Sherlock Holmes or whether it's merely a case of it not being appointment viewing. Also not helping matters was the blogosphere obsessing about a seven-minute Dark Knight Rises prologue (which actually kinda stunk) that was playing in 40 IMAX theaters showing Mission: Impossible: Ghost Protocol while ignoring the actual Dark Knight Rises trailer (which is officially offline until I presume Monday morning) that was attached to all prints of Sherlock Holmes: A Game of Shadows. The marketing certainly did not help make this one 'appointment viewing', as it basically promised more of the same, but with lots of gunfire this time (teaser and trailer)! Casting a character actor (Jared Harris) as arch-villain Professor Moriarty may have been the right artistic choice, but it was possibly fatal to the PR campaign, as it left the film without a new hook to sell the sequel (imagine a wholly different marketing strategy based around Brat Pitt or Daniel Day Lewis as Moriarty ala Health Ledger as The Joker in The Dark Knight). Best case scenario, Guy Ritchie's period action-adventure may merely be a victim of 'not-right away' syndrome. As Christmas weekend begins, it will still be, along with Mission: Impossible Ghost Protocol (more on that below) the likely 'let's take the whole family to a movie' choice. It's not a cartoon (Alvin and the Chipmunks: Chipwrecked or The Adventures of Tintin), a somewhat saccharine-looking family film (We Bought A Zoo), an R-rated thriller (The Girl With the Dragon Tattoo), a cheap-looking PG-13 rated horror film (The Darkest Hour), or a long somber drama (War Horse). Yes, Christmas weekend is going to be a little crowded, which means even if it does pass muster as 'the general choice for large families, it's going to have to fend off several potent competitors. And with Mission: Impossible Ghost Protocol getting the headlines due to its massive limited-release numbers and its likely terrific word of mouth, Sherlock Holmes: A Game of Shadows faces an uphill, if not impossible, battle to match the $209 million domestic total of the first film. If it plays like Tron Legacy, which opened with $44 million on this weekend last year, it gets to $156 million. But this has been a year where sequels somewhat under-perform compared to their predecessors domestically only to absolutely kill overseas (Kung Fu Panda 2, Pirates of the Caribbean 4, Transformers 3, Cars 2, etc), so that could very well happen here too. The next big debut was Alvin and the Chipmunks: Chipwrecked, the third entry in the franchise. While Alvin and the Chipmunks opened with $44 million on this very weekend in 2007 and Alvin and the Chipmunks: The Squeakquel opened with $48 million over Christmas weekend two years ago, this third entry could only muster $23.5 million. The problem may be the same as Sherlock Holmes 2, as there was no 'new hook' this time around. The sequel had the debut of the Chipettes and the 'money shot' of them singing Beyonce's "Single Ladies". This third entry had no such 'new' component, and so perhaps family audiences chose to sample one of the 10,000 other family films in release. To be fair, the opening was still larger than the $16.4 million debut of Yogi Bear on this weekend last year which slowly made it to $100 million. As I said, Christmas legs are unlike any other, where even films opening with $9 million can make it to $90 million (The Emperor's New Groove). A 6.0x weekend-to-final multiplier (ala Yogi Bear) would give the film a $143 million domestic total, along with Fox's seemingly unbeatable foreign muscle. This certainly won't touch the $200 million+ domestic totals of the first two, but no one is going to lose money on this $80 million-budgeted entry either. 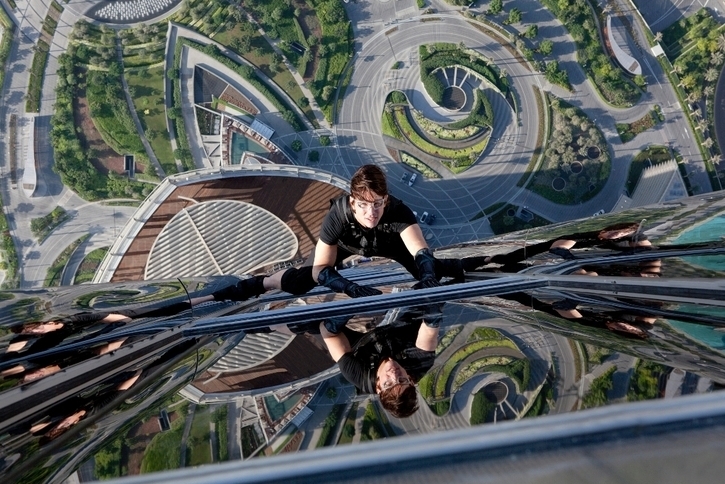 The real story this weekend was the scorching IMAX debut of Mission: Impossible: Ghost Protocol (review). Paramount and IMAX tried something very new this weekend, debuting the film on 300 IMAX and 125 'large-format' screens five days before its national release. And the film earned $13.6 million on those IMAX screens in its first 3.25 days (it had early Thursday night screenings), for a massive $32,000 per-screen average, or the eighth-largest such average for a somewhat wide-release in history. The film was heavily advertised as having around thirty minutes of footage actually shot on IMAX cameras (ala The Dark Knight and about ten minutes of Transformers: Revenge of the Fallen) and Paramount knew that they had the goods with Brad Bird's live-action directorial debut. The film opens wide on December 21st, and now it has the good press of this terrific debut and lots of uber-positive word of mouth to help (notice that 3.3x weekend multiplier!) 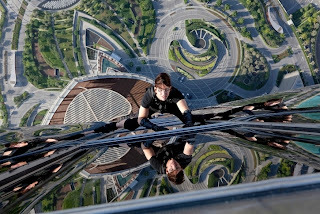 convince audiences perhaps indifferent about another Mission: Impossible film (series retrospective) or weary of Tom Cruise's public relations issues. I don't know how the film's IMAX screen count will be affected by the debut on Wednesday of The Adventures of Tintin (review), but I will say that you should absolutely try to see this on an IMAX screen, even a 'mini-IMAX' if you can this season. It's one of the best and most relentlessly entertaining and eye-popping action pictures in recent years. For the record, the Dark Knight Rises prologue only played on about 10% of the Mission Impossible 4 screens this weekend. So let’s all please stop giving full credit to an eight-minute preview that played on 40 out of 400 screens for the massively successful 400 screen debut of one of the year’s most purely entertaining movies. With 3D on the decline as an appealing tool for franchise pictures (both Sherlock Holmes 2 and Alvin and the Chipmunks 3 were originally announced as being in 3D, but both went out as 2D), this was arguably an opening shot in IMAX's bid to reclaim superiority (essay). How much of a game-changer this will be depends on how big the regular opening weekend is. If the opening weekend seems relatively unaffected or arguably boosted by supurb word of mouth, we could see IMAX sneak-openings become somewhat regular. Warner Bros will be watching this very closely. If not for The Dark Knight Rises (which arguably wants a shot at the Fri-Sun record), then for Superman Man of Steel. Heck, if Sony thinks it has the goods, we could see Amazing Spider-Man opening a few days early as well. Furthermore, even if M:I4 has a lower opening weekend but still does good longterm business, this (idealistically) could see a move away from the whole ‘opening weekend is everything’ mentality. Paramount took a major risk this weekend, basically doing a platform release on a major would-be blockbuster, and it will be very interesting to see how it pays off over the long haul. The only limited release debut of note was Roman Polanksi's Carnage (review). It opened with $85,000 on five screens, for a $17,000+ per-screen average. It's not a terrible debut, but the would-be Oscar hopeful is going to have to compete with the other Oscar bait, as well as the wide release of The Girl with the Dragon Tattoo for those precious adult dollars. One of the best films of the year, Young Adult (review/essay/interview) tragically crashed in its wide-release debut. It pulled a solid $40,000 per-screen debut on eight screens last weekend, but the somewhat disorganized ad campaign (which was probably afraid to scare off viewers with its somewhat unique protagonist) didn't help, as the Charlize Theron vehicle (which she surely deserves an Oscar nomination for) earned just $3.6 million for the weekend on 986 screens. 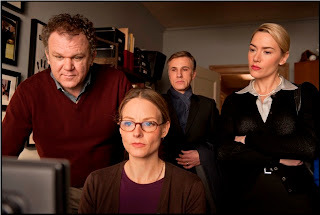 The other Oscar bait are burning up the limited release charts (Tinker Tailor Soldier Spy earned another $582,000 while The Artist earned another $286,000) while regular moviegoers struggle to find a theater actually showing said movies before the end of the year. In wider-release Oscar bait news, The Descendants is still pulling in fine business, as the film nears $30 million right as Clooney's other film, The Ides of March, tops $40 million.